Painful joints are a very common problem as we get older. Although joint pain and inflammation can happen at any age, we are much more likely to develop this problem once we are past the age of 40. Joint pain affects our mobility and daily activities. Medications may relieve the symptoms, but they have side effects. I didn't want to be taking meds on a regular basis so started looking for ways to relieve the pain naturally. Research has shown that chronic inflammation is responsible for many health problems, including arthritis, heart disease and so on. It also contributes to painful joints. Therefore, it is very important that we do all we can to eliminate inflammation in the body. If you are looking for natural relief from joint pain, these suggestions should be helpful. I believe what we eat is the most important factor for reducing inflammation and stopping the pain. There are specific foods that are anti-inflammatory. On the other hand, some foods promote inflammation. Eating the right diet can make a big difference. Sugar should be avoided, or at least only consumed in very small amounts. Sugar consumption causes inflammation. Corn syrup, molasses, brown sugar, maple syrup and of course table sugar or substitutes promote the inflammatory response which leads to pain. If we want something sweet, fruit is by far the best choice. Fruit has antioxidants and other health benefits, and the natural sugar in the fruit doesn't have the same effect as other sugars. Consuming foods that contain refined carbohydrates will cause a rapid increase in blood sugar. This is because they break down to simple sugars in the body. Some examples are pasta, white rice, and any food made with white flour. An anti-inflammatory diet should contain plenty of vegetables, as well as some fruit. The best vegetables to fight inflammation are those that are cruciferous. This includes cabbage, broccoli, brussell sprouts, cauliflower and kale. You can get the most benefit from eating them raw, but if you prefer to cook them, steaming is the best method. This retains most of the nutrients. The meal shown in this picture is a very good choice for people that have joint pain. The salmon provides Omega 3 essential fatty acids, which are good to reduce inflammation. The side salad is full of vitamins and minerals which is also necessary for good overall health. The salmon can be cooked with coconut or grapeseed oils. Some people find it helpful to eliminate dairy from their diet. This isn't necessary for everyone. I still eat yogurt and cheese. However, this is something you may want to try if other dietary changes aren't helping enough. Turmeric is a very powerful anti-inflammatory according to research. It's a very versatile spice that adds a lot of flavor and color to food. I like to add some to stir fry meals. Omega 3 fatty acids which were mentioned above are also effective at reducing inflammation. Fish and a variety of seeds are the best sources. There are plenty of supplements on the market that will provide you with Omega 3, but whenever possible it is a good idea to get it from food sources. I highly recommend adding seeds to your diet. Flax, chia and hemp seeds are all good. It's just a matter of preference. I prefer the hemp seeds because they have a nutty taste and crunchy texture. If you want to use flax seeds, they must be ground. We cannot digest them otherwise. We should only use healthy oils. Coconut oil is one of the best, although there are other healthy options. Extra virgin olive oil is great for salads or cooking at low temperatures. Olive oil does not work at high temperatures however. Either coconut oil or grapeseed oil can be used for that purpose. We should avoid vegetable oils and canola. I found that changing my diet made a huge difference in relieving joint pain naturally. Eliminating sugar, consuming more omega 3, and eating lots of vegetables are now part of my daily routine. Making these lifestyle changes also reduces our risk for heart disease. There are a lot of supplements available from health stores that will relieve joint pain. I did quite a bit of research to find the best product. A relatively new discovery for natural relief of joint pain is Natural Eggshell Membrane. 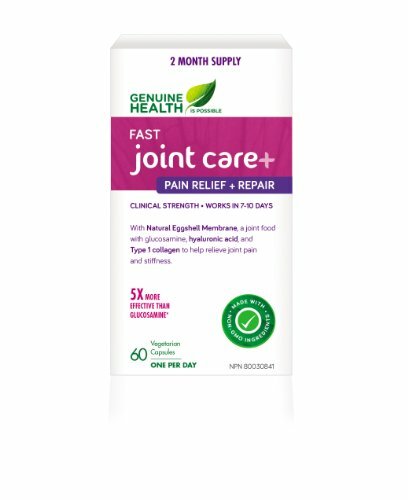 It works together with Glucosamine to help protect cartilage from deterioration. Many supplements take two or three months of use before we notice any real difference. However, supplements that contain NEM bring relief in a short period of time, usually within about a week. You may need to experiment with different brands to find one that will work for you. If you have an allergy to eggs, you should not take an NEM supplement without consulting a health professional. Otherwise, there are no known adverse effects with daily consumption. I recommend you find a supplement that will relieve joint pain. They do not have side effects like most medications do and really can make a difference. There are many on the market that will relieve joint pain naturally. Exercise plays an important role in our overall health. Walking is a great way to exercise, particularly if you have someone who will go with you. It is more motivating to walk if you have someone to keep you company. Of course you shouldn't exercise beyond your endurance, or if it is causing you to have a lot of discomfort. Some people find pool therapy to be very helpful. There is less stress on the joints when we are in the water. For this reason, it can be a very beneficial form of exercise for those with joint pain. A cold compress can provide quite rapid relief from inflammation. Something very simple like a bag of frozen peas wrapped in a towel and placed on the affected area for a short time will help. Or you could place some ice in a towel and then cover it with a plastic bag. These are all things I have done to relieve joint pain naturally. It may take some time to see results, so we need to be patient and persistent. I don't take anti-inflammatory medications any more and have found these natural remedies have made a positive difference in my life. I've been taking this product for a few months now. It relieves joint pain quickly and has no side effects. Just one capsule a day is all that is needed. It contains natural eggshell membrane for joint health.